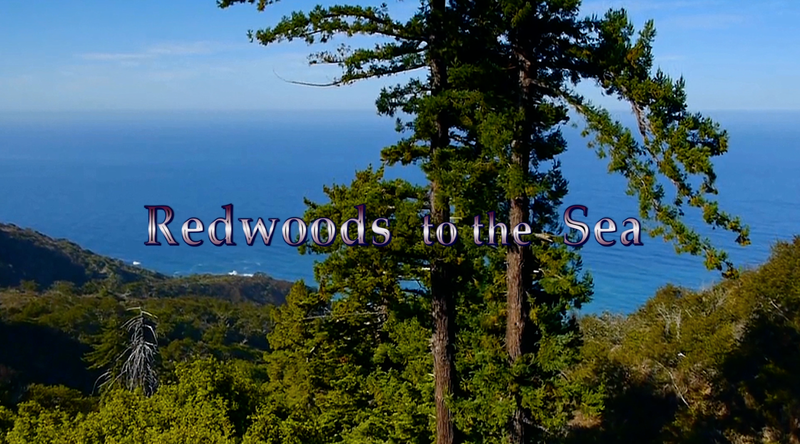 RedwoodsToTheSeaUHD8a from Kennan Ward on Vimeo. Along the Northern Coast of California the Pacific ocean creates a rich environment that silhouettes a World Heritage sea and landscape. The coastal marine fog that forms along the coast allows a unique habitat for flora and fauna to flourish. The wild coast from Big Sur north to the California/Oregon border is a topography of Redwoods to the Sea. Home to the tallest trees in the world, transitions to a marine sanctuary where whales, Otters, Seals and Sea lions not only survive but flourish! 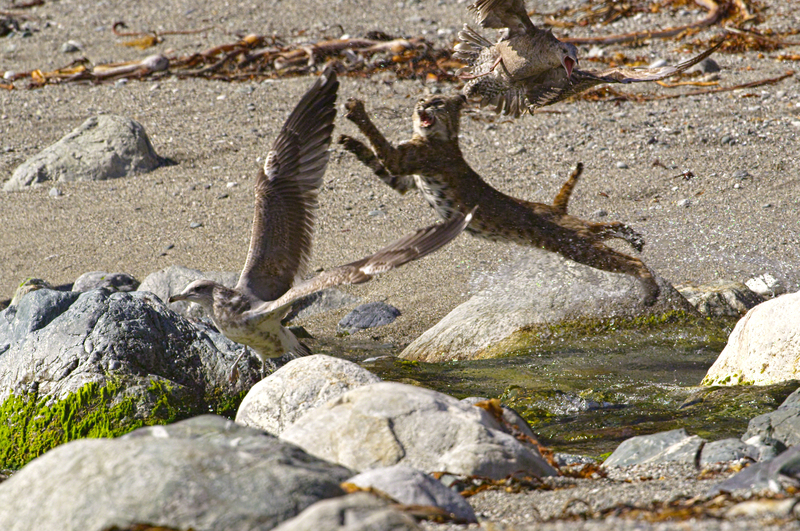 Just onshore, Bobcats demonstrate a never before filmed behavior of flying through the air to catch gulls. 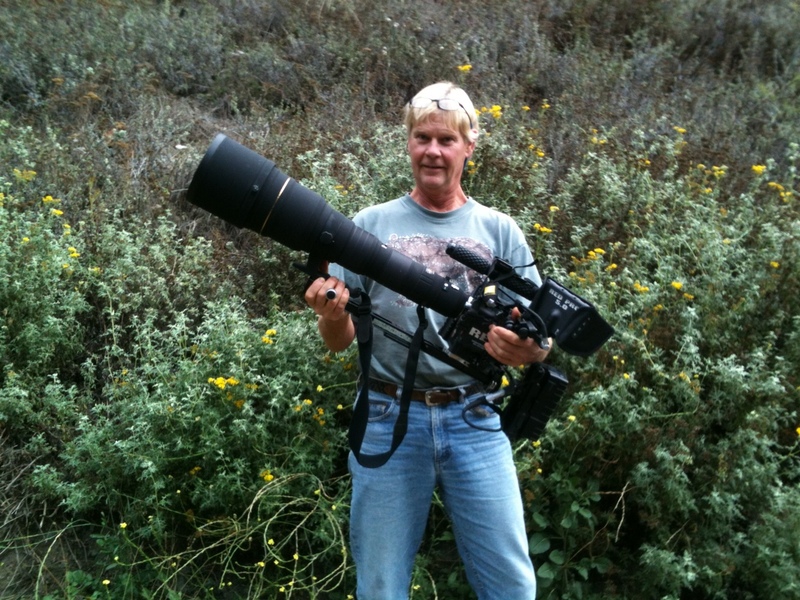 Mountain Lions, Black Bears, endangered Spotted Owls, and the rare California Condors nesting inside a Redwood Tree. 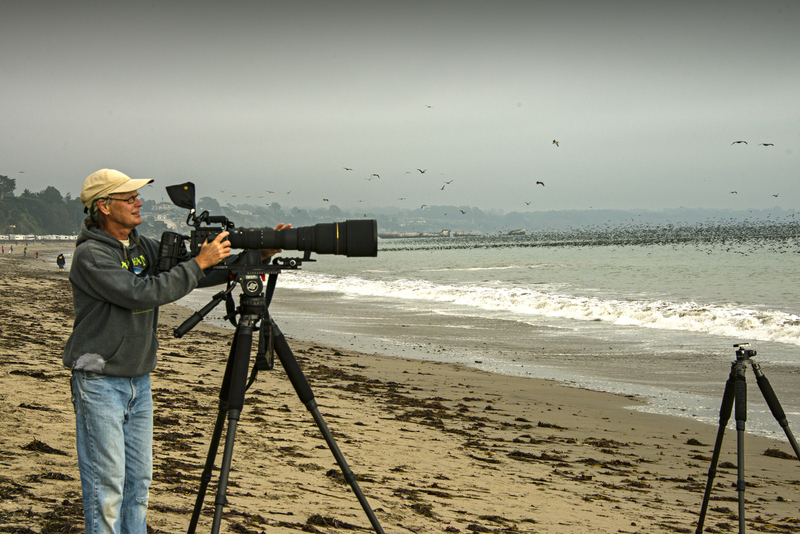 Frame grab from “Redwoods to the Sea”, shot on RED Epic at high frame rate. Kennan Ward with his RED Cinema setup, supported by Really Right Stuff! Since 2008 we have been filming this region in 4K footage with a host of helicopters, jibs and sliders in a feature film format. Now we film with 5 and 6K Epic, using a wide variety of RRS gear including a basic body set up of many RRS parts! Kennan’s often-unique support demands have led to many interesting setups, and even given way to new packages like our Kennan Ward Super-Tele Package, which is perfect for multi-point support of long lenses and video or still cameras! Images and video footage Copyright ©2013 Kennan Ward. All rights reserved.